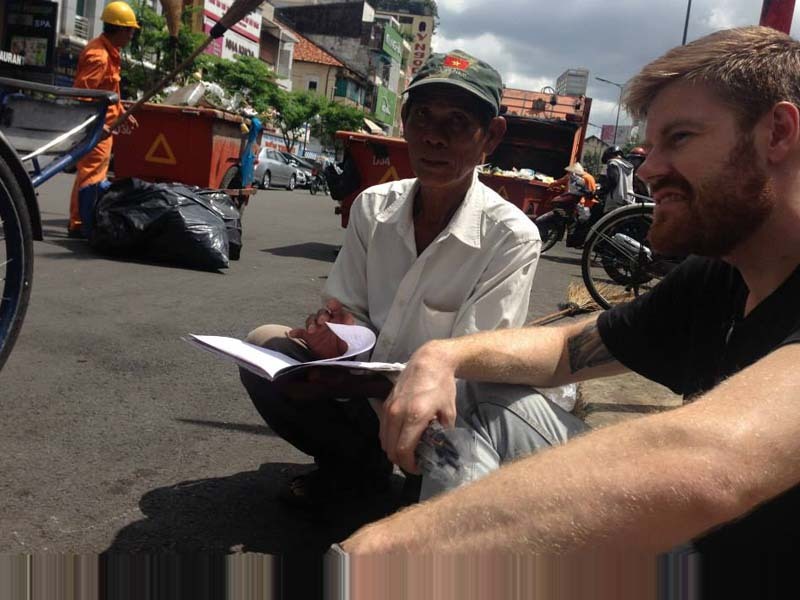 With support from the Globalink Research Award, I have travelled to Hanoi to work alongside the Viet Nam Cleaner Production Centre. Like most Canadians, I found that stepping off any plane can come as a large shock. I am working on a project called “Establishing a sustainable pangasius supply chain in Vietnam” (SUPA) under the supervision of Professor Tan at the University of Waterloo, and Dr. Nhan at the Hanoi University for Science and Technology. My team has been working for the past year with basa hatcheries, fisheries, and production facilities in the Mekong Region in Southern Vietnam. Our shared goals are to help companies obtain international certification and create higher quality fish products while increasing sustainability and efficiency in this resource-intensive industry. It’s in the early stages, but right now the team and I are working to find the hundreds of locations in the Mekong Delta involving the basa fish aquaculture industry. My role is to provide assistance with the Geographic Information System (GIS), which manages and analyzes geographical and spatial data. The work has been done in conjunction with University of Cần Thơ researchers, who are exploring the most efficient way to raise basa fish. These methods will be taught to fish farmers to improve efficiency and decrease risk of disease. Our research will enable a deeper analysis of both the environmental and social impacts of the Vietnamese fish farming industry. First, it will provide the team and its partnering organizations with spatial awareness of the hundreds of participating farms, hatcheries, and production sites. Second, it will enable SUPA to share where it’s working as a way of attracting more participants to this project. Mitacs thanks the Government of Canada and the Government of Ontario for their support of the Globalink Research Award program in this story. Across Canada, the Globalink program also receives support from Alberta Innovates, the Government of British Columbia, the Government of New Brunswick, the Government of Newfoundland and Labrador, the Government of Nova Scotia, the Government of Prince Edward Island, the Government of Quebec, the Government of Saskatchewan and Research Manitoba.